Connecting Nature: connecting what to what? What are nature-based solutions? What do they do? Where are they? Why does everyone think they are so important? Basically: what’s the fuss all about? One of the reasons we ask these question is because for millennia we have set ourselves apart from nature and many people do not see the values of nature. Nature is something else - something around us. This separation has partially led to the abuse by humans of nature; something to be exploited for our advantage and until we started talking about sustainability we largely saw this relationship as a one-way system – humans using nature. Globally we see significant land use change, environmental damage, pollution and contamination, and biodiversity loss. With the arrival of the ecosystem approach, which strives to transition from how we live now to being more resilience and supportive of the Earth’s ecosystems, we slowly began to recognise the values of nature to our existence (natural capital and ecosystem services). In recent years this has found its way into debates on exactly how ecosystems and nature provide services. Nature-based solutions are one outcome of this thinking but instead of looking at how nature provides services, nature-based solutions are designed to maximise these services. But it is no longer a one-way system - it works both ways. What is the main problem that your nature-based solution is seeking to solve? Are there other problems that your nature-based solution can simultaneously address? How is your nature-based solution inspired by nature? Are multiple stakeholders involved in co-creating your nature-based solution? What are the benefits of your nature-based solution? Have you established ways of measuring the success of your nature-based solution? A nature-based solution is not just a passive piece of urban green infrastructure: it is specifically co-designed to address multiple, interconnected problems, in a way that also has co-benefits for a wider number of people and communities. So, a biodiverse green roof retains heat for the building below and absorbs heat on hot days; it can absorb pollution and noise; it can slow down the flow of rain thus reducing water reaching the street below; it can attract bees, other pollinators and birds; and if it is accessible it can be a refuge for people, providing much-needed access to nature. A city full of living roofs and living walls (indoor and outdoor)! Well you can imagine how that would feel. It is also important to co-design nature-based solutions. This is the part that is often overlooked. Co-design means a wider variety of people have a say in what the nature-based solution is like, what its many benefits may be, and who will use it. Co-design is not for the fainthearted. It takes time, energy, patience and more time! 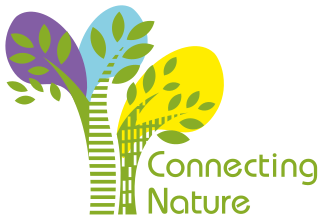 Connecting Nature is more about connecting re-greening with solutions, and thus deriving innovation from nature-based solutions: it seeks to connect nature to people and people to nature. This means that our cities may be the locations where we can address that age-old separation between human progress and natural processes: how ironic is that!